December is the month when we will again celebrate the Feast of the Holy Innocents (28 December), an important but seemingly forgotten feast in the liturgical calendar of the Catholic Church, Church of England, Lutheran Church, Maronite Church, Chaldean and Syro Malabar Catholic Church, and Syrian Orthodox Church. Vestments used for this feast are red denoting martyrdom. It’s an interesting feast because it comes just after the birth of Jesus or what is celebrated as the birth of the infant Jesus, that is, 25 December, a feast of celebration and life and yet the feast of Holy Innocents recalls when infants were slaughtered simply for being infants. “A Voice was heard in Ramah wailing and loud lamentation; Rachel weeping for her children. She refused to be consoled because they were no more” (Mt 2:18. Jer 31:15). Who was Rachel and why was she weeping? Rachel was the daughter of Laban, the brother of Rebekah who was married to Isaac, the covenant son of Sarah and Abraham who was the founding patriarch of the House of Israel. Rachel’s story is what we might call a love story because Jacob – another patriarch – who loved her, had to work very hard to be able to marry her. It took fourteen years of physical labour and a first marriage to Rebekah’s older sister Leah (according to the marriage rules and rites in ancient near eastern traditions, Gen 29:15-30) for Isaac to then be able to make her his wife. While Abraham, Isaac and Jacob were Hebrew patriarchs, Sarah, Rebekah and Rachel were Hebrew matriarchs. So why was Rachel weeping for the children who “were no more?” Perhaps she was prophetically seeing deep into the future and weeping for her own grandchildren, Manasseh, Ephraim and Benjamin, and their children, and the situation of exile, homeless and strangers in a strange land. Or perhaps she was weeping as she “saw” the babies who would be slaughtered with the coming of the liberator Moses: “When you attend Hebrew women in childbirth, if it is a boy, kill him, if a girl, let her live” (Ex 1:15-17) . Or perhaps Rachel, continuing to “see,” wept and mourned for the slaughter of the innocents which heralded the arrival of the definitive liberator and Messiah, Jesus (Mt 2:13-18). Perhaps in her vision she saw his entry into the world marked with the slaughter of innocent lives, and perhaps much more, Rachel “saw” another mother and matriarch of matriarchs (Mary) weep for the loss of all the babies offered in sacrifice to gods, kings, pharaohs of every era, every nation and every time and place, and in the immediate future, fear for the loss of her own son. Perhaps Rachel, Mary and all other matriarchs throughout the millennia have mourned and continue to mourn for the generations never born or who through violence and hatred for life have never been permitted to grow old. And perhaps throughout time the matriarchs will continue to mourn for the babies for whom no one will mourn, or even remember their passing by. Perhaps the grief and wailing of the matriarchs will be the catalyst for healing of the pain of loss of generations. Today a new generation of matriarchs (new Rachels) is wailing for the “children who are no more”, a generation of women who have aborted their child, A generation of women whose covenant is child- and future-oriented, walk with the pain of intentional loss, bad decision-making, and regret. Their covenant or “sacred bond” has been ruptured by the abortion and the woman wails for the child and the children lost, just as Rachel wailed. The woman is wailing because she agreed to the death of her own child, and she, also seeing deeply into the future sees her grandchildren and generations who will never be born because she said “yes” to the death, and so is inconsolable. The Holy Innocents who have perished throughout time at the hands of different Pharaohs, different Herods, different despots, have perished because of an attack against “life” which means an attack against the author of life, God, by him who has been the “murderer”, “accuser”, “adversary” from the beginning (Jn:8:44-59). “Life” is intuitively understood to be sacred because it comes from God and is destined to return to Him; so to destroy/abort human life as an act of sacrifice to the old gods or to the new gods (career, trips or boyfriends’, friends’, husbands’ demands) means that “a stubborn and rebellious heart” (Jer 5:23) has overtaken society and “the prince of this world” (Jn 14:30) is holding sway, at least temporarily. However, the children always die as innocents and die as witnesses to “the Word” which was spoken by God at the beginning of time: “Let us make man in our own image, in the likeness of ourselves” (Gn 1:26) and He created and breathed His own breath into that mystery called life. In our day and in this culture of death which has slowly pervaded society, such a feast day as the Feast of the Holy Innocents is a tangible reminder that innocence is frail and the innocents always require protection just as the mother of Moses protected him and the Mother of Jesus and her spouse protected the child. The parents of all “innocents” are called to protect and not despise the herald/messenger who is sent to them. 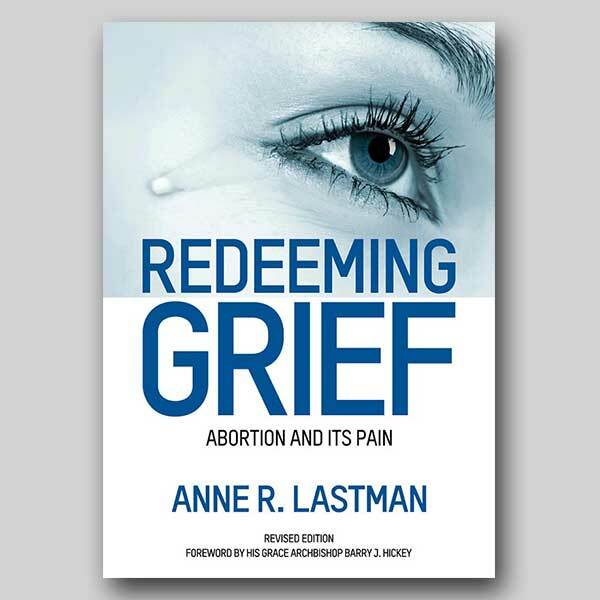 Anne Lastman is the founder of Victims of Abortion and an Abortion Grief Counsellor (0408-175-033, PO Box 6094, Vermont South, Vic 3133).